Lin Taylor, Reuters Posted at Feb 08 2017 08:09 AM LONDON - Home-sharing website Airbnb has partnered with global aid agency International Rescue Committee (IRC) to provide short-term accommodation for refugees, joining a number of companies that has voiced their support for people fleeing conflicts. The company said it plans to house 100,000 people in temporary homes over the next five years, including refugees, displaced people, disaster survivors and overseas aid workers. It has also pledged $4 million to the IRC. "People who've been displaced, whether because of war or conflict or other factors, are acutely vulnerable to not being accepted," the company said in a statement this week. "They are, quite literally, in need of a place to belong, which is why we've been inspired to take action," it said, encouraging customers to join the campaign by hosting refugees. Former US Secretary of State, John Kerry supported the initiative, posting on Twitter: "Heartened to see people and companies standing with those doing so much good for those most in need -- leadership that's needed!" 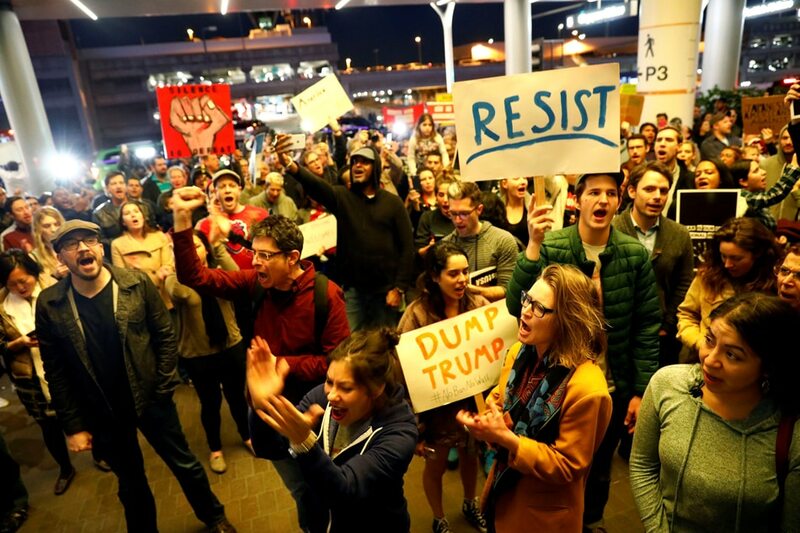 Last week Airbnb offered free accommodation to refugees and others barred from entering the United States due to President Donald Trump's immigration curbs, which have since been temporarily suspended after a court ruling. "It is important to remember that refugees have fled great harm, and in many cases their journey to the U.S. have been long and arduous. Now we want them to begin to feel at home," IRC spokeswoman Lucy Keating told the Thomson Reuters Foundation. Airbnb is one of several global companies that has supported refugees after Trump's proposed 90-day travel ban on citizens from Iran, Iraq, Libya, Somalia, Sudan, Syria and Yemen, and a 120-day bar on all refugees. Swedish furniture giant IKEA last week announced it would stock rugs and textiles made by Syrian refugees by 2019, employing mostly refugee women living in Jordanian camps. "The situation in Syria is a major tragedy of our time, and Jordan has taken a great responsibility in hosting Syrian refugees," said IKEA spokeswoman Johanna Martin. "We decided to look into how IKEA can contribute in supporting Jordan's journey in integrating refugees with locals in labor market through jobs," she told the Thomson Reuters Foundation, adding that production should start by September. But initiatives to help refugees have not been welcomed by everyone. Global coffee chain Starbucks faced a backlash on social media last week after the company announced it would hire 10,000 refugees over the next five years in the United States.